It’s an election year… boy did that come quickly! All political talk, jargon, and views aside, this is a great time for us teachers to teach our students about the US Presidential Election. It’s not a secret that I love books. I could spend hours in any book store, so when it came time to start prepping for the US Election, the first thing I did was head to my local public library to scope out some amazing children’s books for my students. 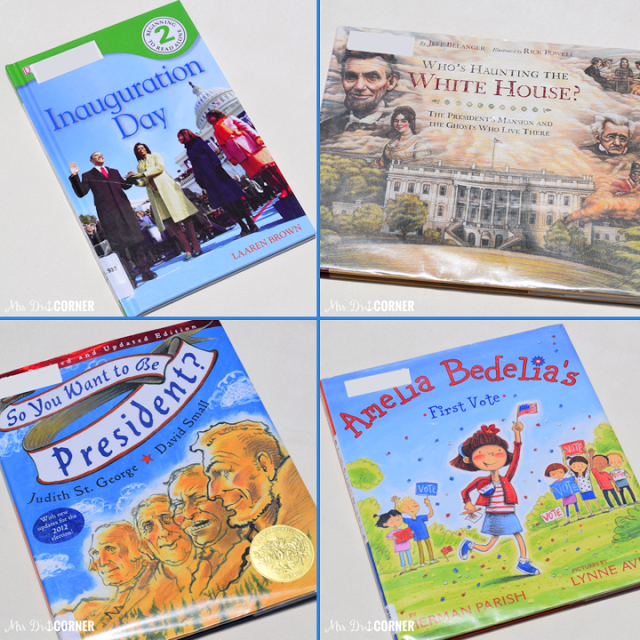 This Level 2, DK Reader allows your student to join Barack Obama and his family for a day of speeches, parades and the American History that was made on his Inauguration Day. 2. Who’s Haunting the White House? This upper elementary book takes students on a supernatural investigation to look for ghosts in the White House. 3. So You want to be President? 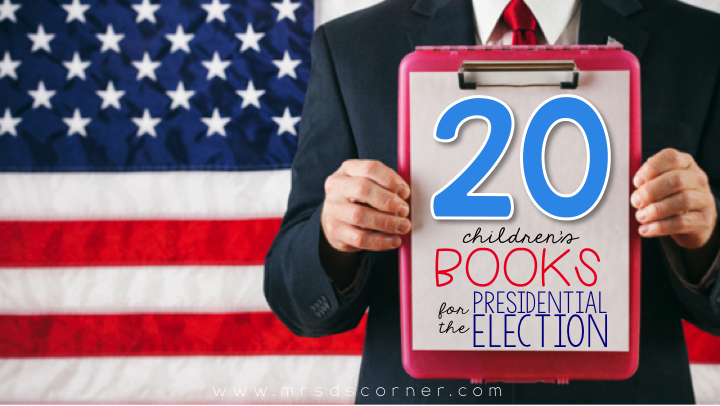 A great book for older elementary students, this book celebrates all 42 Presidents in a fun, and funny, kid-friendly manner. 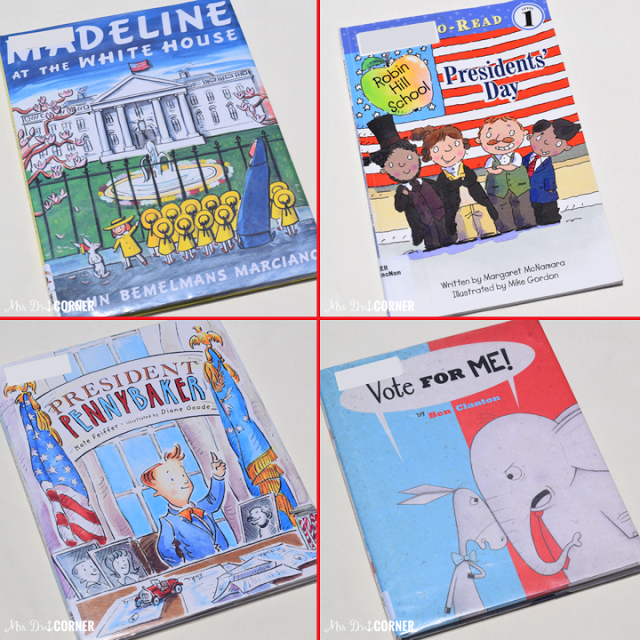 It’s school election day and Amelia Bedelia is so excited! Follow Amelia through her day of the school election. Madeline and her friends are traveling to the US for a great American adventure. Their destination is the White House, but they also get to tour the capitol’s famous landmarks. This Robin Hill School, Level 1 reader, this classroom full of students shares information with one another about a few of our past Presidents. After being sent to his room for a time-out, Luke Pennybaker decides to run for President to make life fair for kids. This is one of my favorite Election books. You follow Donkey and Elephant through the process of election for US President, and how mean they are to one another throughout the process. Woodrow Washingtail is running for President of the United Mice of America, and he needs your vote! This story describes the journey of being elected. The First Daughters want to get a dog, so they place an ad for the perfect White House dog. The daughters interview many dogs until they make a final decision. At the beginning of this book, you can read a brief description of the election process. Then you and your students can walk through the process of running for US President. 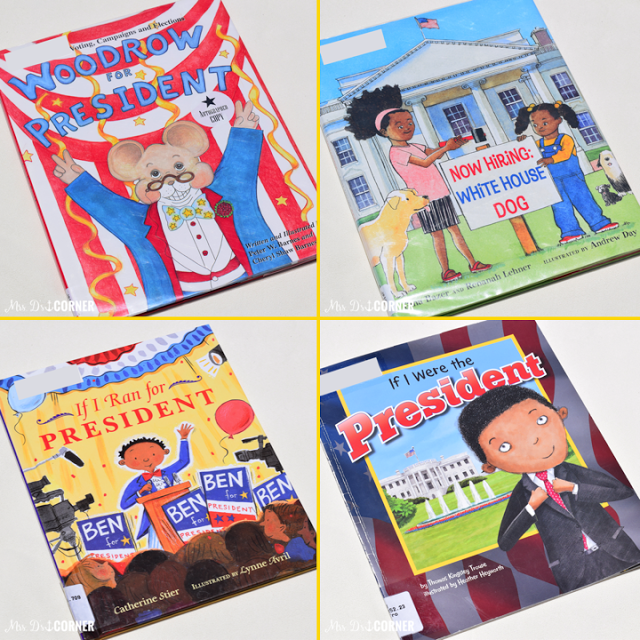 This is a fun book that walks your students through what it would be like to the the US President, who gets to live in a really cool mansion! 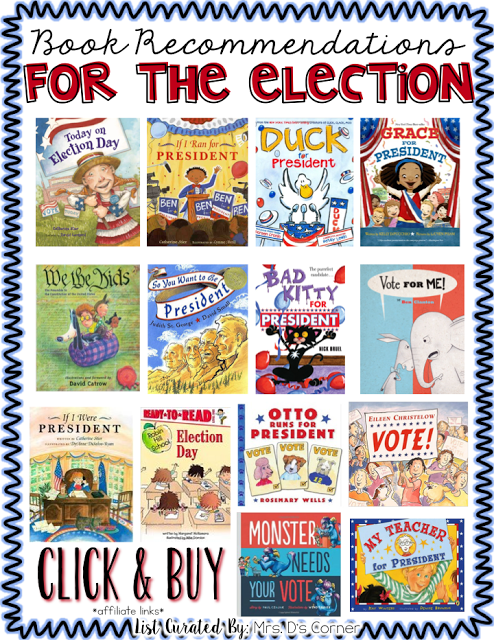 Below are some more books that you may find useful in teaching your students about the US Presidential Elections. Just click on the image below to download a clickable PDF. Wow! What a great resource! You've done the work for us! THANKS!